Are you a morning person? Sunrise Ring is a simply stated depiction of an early morning rising sun. 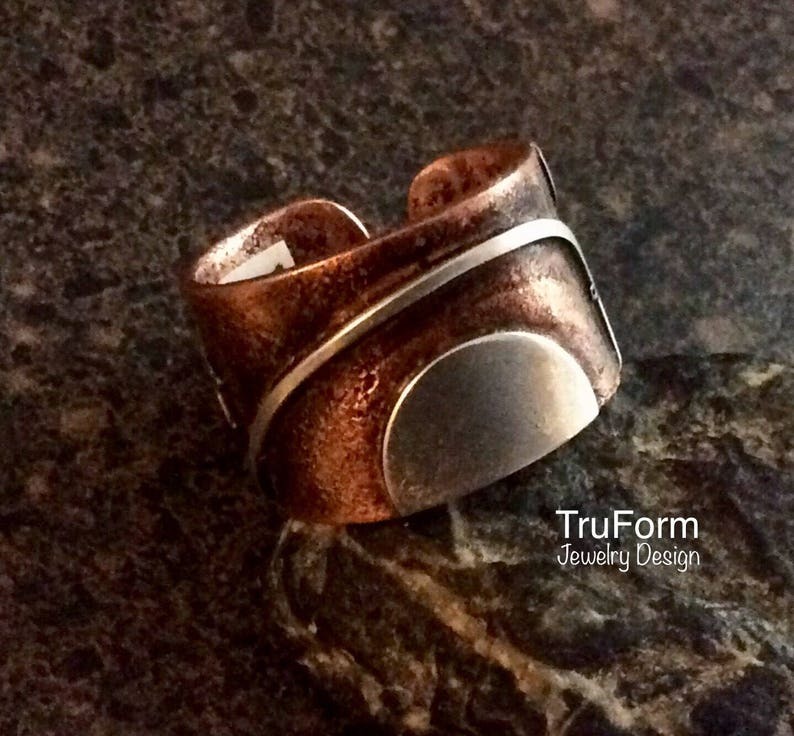 The rustic copper cigar band ring is embossed and highlighted with a silver sun. If you aren't necessarily a morning person, let your jewelry remind you of how it looks! Sunrise ring is shipped professionally tagged and boxed - perfect for gift giving. If you are looking to add unique, quality wholesale jewelry to your retail shop or gallery, OR need custom work, please contact me, I would be happy to discuss.